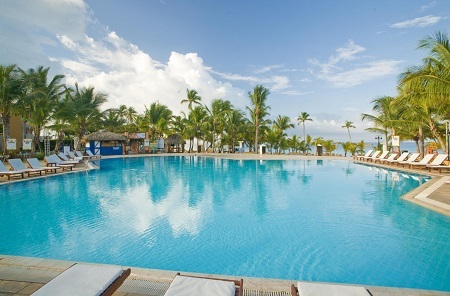 All Inclusive Viva Wyndham Dominicus Palace Resort in La Romana, Dominican Republic! Bid Per Person Per Night and Choose your Length of Stay! in La Romana, Dominican Republic! 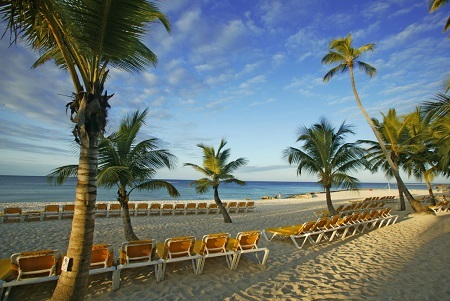 Multiply your vacation by 2 at Viva Wyndham Dominicus Palace! 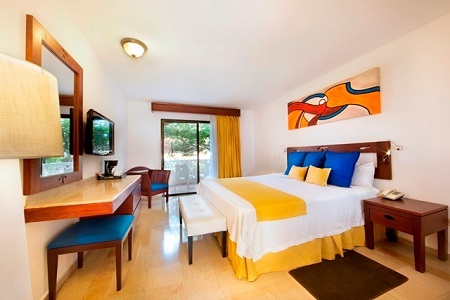 Our guests will enjoy all facilities of this resort PLUS those at Viva Wyndham Dominicus Beach free of charge. 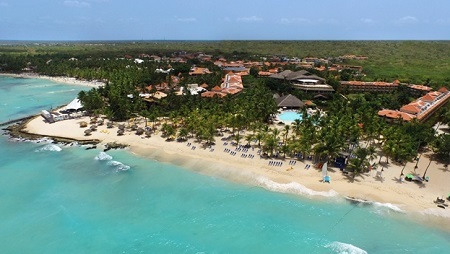 Indulge in all the facilities and services available at the sister resort, Viva Wyndham Dominicus Beach, world renowned for its unique environment considered an unparalleled entertainment spot. Relax worry-free while the whole family enjoys the wide array of activities available. Experience the energy of the rhythm and fun in an all-inclusive resort, where relaxation is unavoidable. Located on the paradisiacal beaches of Bayahibe, province of La Romana; a rural community which combines the crystal-clear waters of the Caribbean with the culture and smiles of the Dominican people. An idyllic setting blending its ineffable natural beauty with contagious joy, gratifying guests with an unforgettable vacation. The fun expands along 1 ½ kilometers of private beach! Ideal for couples seeking a hideaway in an escapade full of passion with the infinite possibilities this tourist attraction offers, making it the perfect place for relaxation and romance. From a visit to Isla Catalina, with its untouched scenery of the Caribbean and a short distance from our resort, visiting Altos de Chavón… or simply relishing in the many romantic hideouts Viva Wyndham Dominicus Palace, a hotel defining the Caribbean experience and promising life-long memories, offers. Offer at Viva Wyndham Dominicus Palace is based on Double Occupancy in a Superior Room, Ocean View Roms or Couple retreat rooms, Extra Guests or Children sharing a room, at the additional cost - please refer to Hotel Information and Additional Options at the bottom of the offer. Come and enjoy paradise at Viva Wyndham Dominicus Palace, where memorable moments are made in one of our 330 rooms with breathtaking ocean-front or garden-views and a picturesque colonial décor. An unforgettable vacation begins inside comfortable accommodations. Immerse yourself in lavish surroundings that promise profound relaxation-full nights, with all the comforts you could ever wish for. There is something for everyone, from quaint contemporary décor-inspired romantic rooms to spacious celestial accommodations. For more information about Restaurants at Viva Wyndham Dominicus Palace click here and for other Activities at Viva Wyndham Dominicus Palace click here. For a minimum of 4 days and 3 nights stay, you will be able to enjoy, at no additional charge the following package: Upgrade to a higher category room, based on hotel availability, a bottle of champagne / sparkling wine, a fruit basket, a hors d'ouvres tray, a 7" x 4 " picture, 2 t-shirts, plus our all inclusive package. Copy of the marriage certificate required upon check-in, and within six months of marriage. Valid for US resident only, no minimum of nights are required, available for guest 60 years and older, at no additional charge the following package: Personalized check in, priority luggage delivered to the room, room upgrade (subject to availability), In-room welcome amenities, Books and Board games of choice, Dance Classes (upon request), Priority at a la carte restaurants reservation, 10% discount in affiliated stores, 10% discount on meals and beverages additional to the all inclusive package, and Late check-out (subject to availability). SINGLE SUPPLEMENT: Offer is based on a Double Occupancy. Single Supplement is available for an additional $95 if you wish to room solo in a Superior Room. Single Supplement for upgraded room types can be quoted upon request. Single parents, pay the single supplement and kids 3-12 years old pay the child’s rates. Children ages 3 - 12 years Staying at Viva Wyndham are $20.oo additional per child per night when sharing a room with 2 adults. Please list all children names and dates of birth during submission. Stay up to 14 Nights as desired and based on availability. Tax and service charges of $59.oo per person per night.